If you have never heard of this holiday, don’t worry. It’s new. The tea lovers at Holiday Insights established it in 2016 as the third Tuesday in March. I agree that it’s a holiday worth noting. Tea historians place its origin back to 2727 BC, with the Emperor Shen-Nong (also Shennnong or Shen-Nun), noting that the great moment occurred when some tea leaves accidentally blew into a pot of boiling water. Others say he had been tasting a large amount of herbs. In those early years, tea drinking was a luxury, primarily enjoyed by the Chinese elite. While traditional tea has been around for centuries, herbal “tea” is another matter. According to their tour guides Celestial Seasonings made up the concept of herbal tea. True tea, whether white, black or green, is cultivated from the tea plant. Herbal tea is made like tea – from the infusion or decoction of plant material in hot water – but it is not tea. 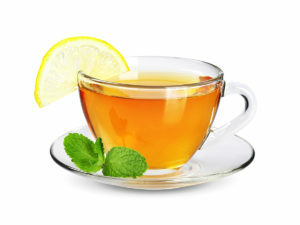 Whether true tea or herbal, tea is excellent for your health. According to an article published in 2008 in the European Journal of Cardiovascular Prevention and Rehabilitation, “Green tea consumption has an acute beneficial effect on endothelial function [i.e., blood vessel health].” An article in a 2014 medical diary notes that black tea has the same effect, as long as you don’t put milk in it. Results of a study published in 2001 in the journal Mutation Research suggest that white tea inhibits Salmonella and is better at it than green tea. And an article published in 2012 in the Journal of the Science of Food and Agriculture notes that herbal tea, specifically hibiscus, is a great antioxidant. Many other studies show the health benefits of tea, regardless of color or whether you drink it hot or cold. In addition, tea is good for mental health because it brings people together, whether through a formal tea ceremony or an informal cup between old friends. The Mayo Clinic expands on that simple statement, noting that friends “increase your sense of belonging and purpose, boost your happiness, reduce your stress, Improve your self-confidence and self-worth, and help you cope with traumas. So grab a friend and drink up.